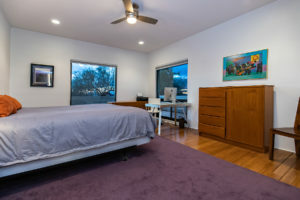 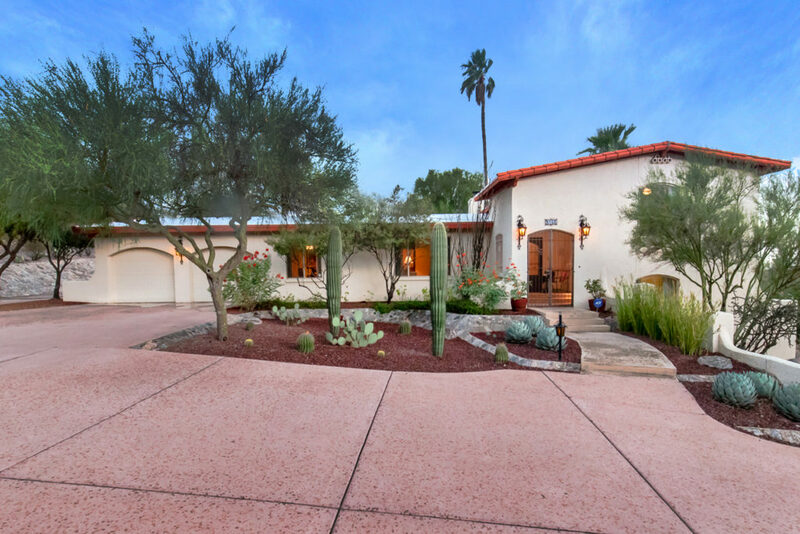 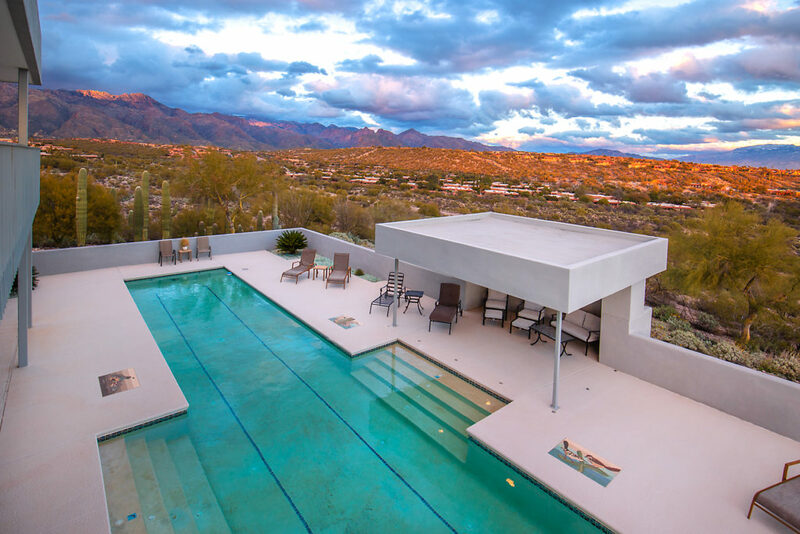 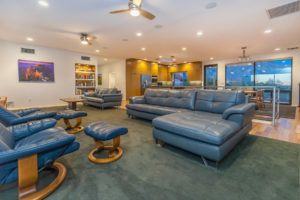 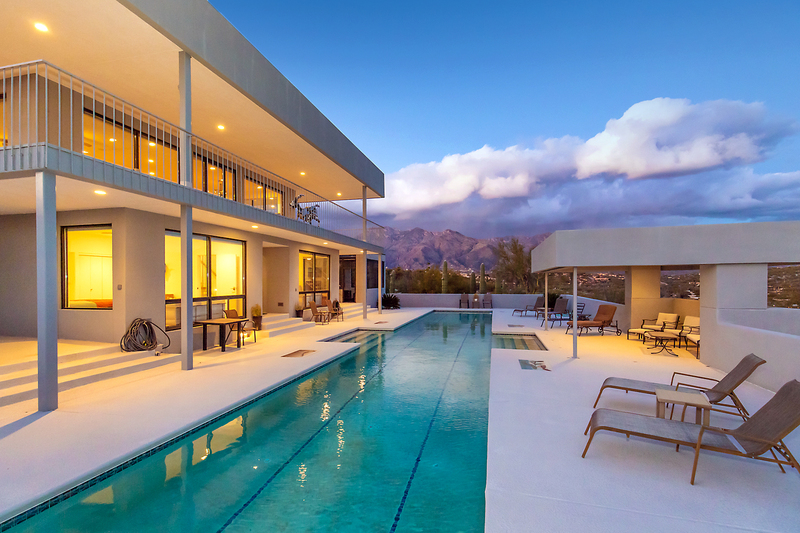 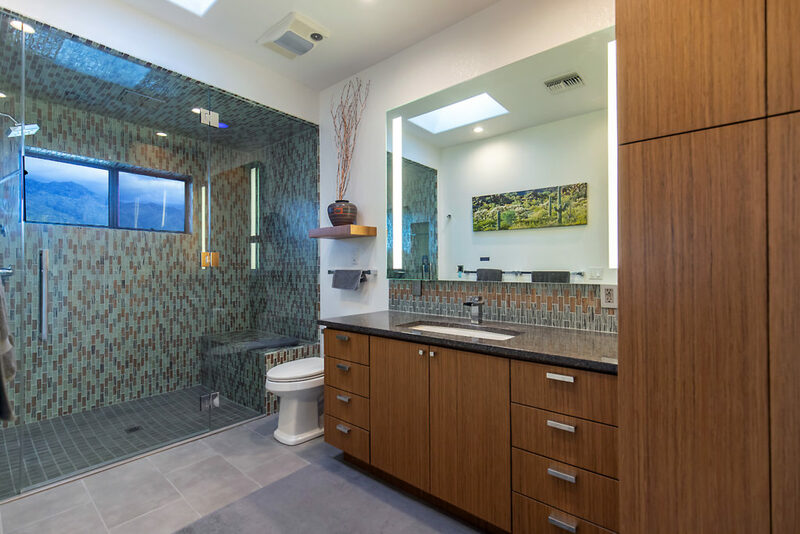 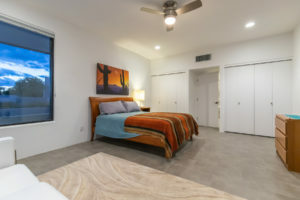 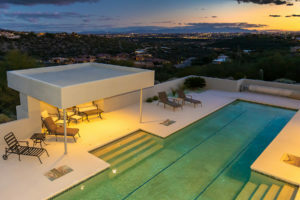 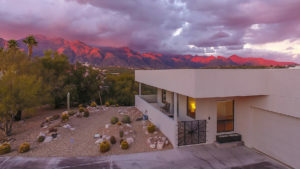 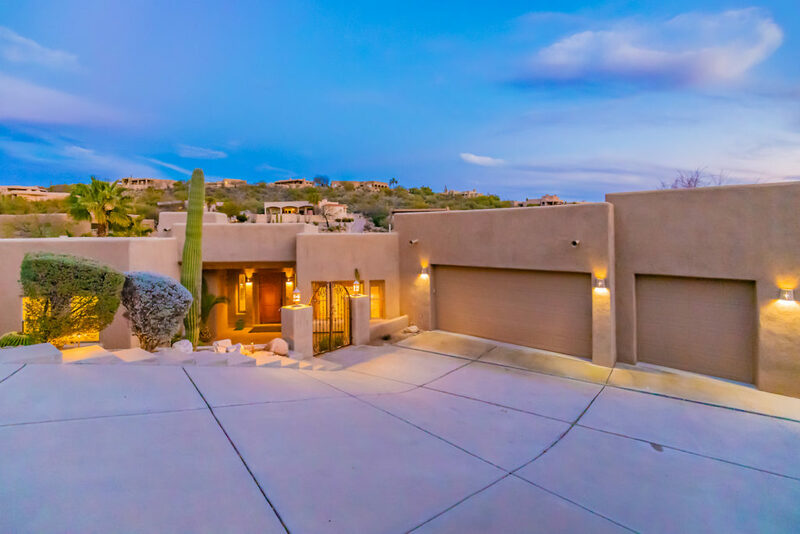 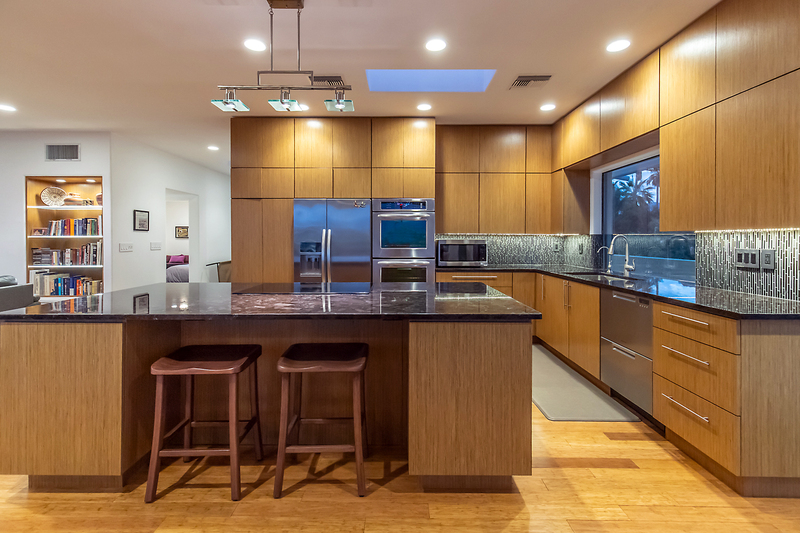 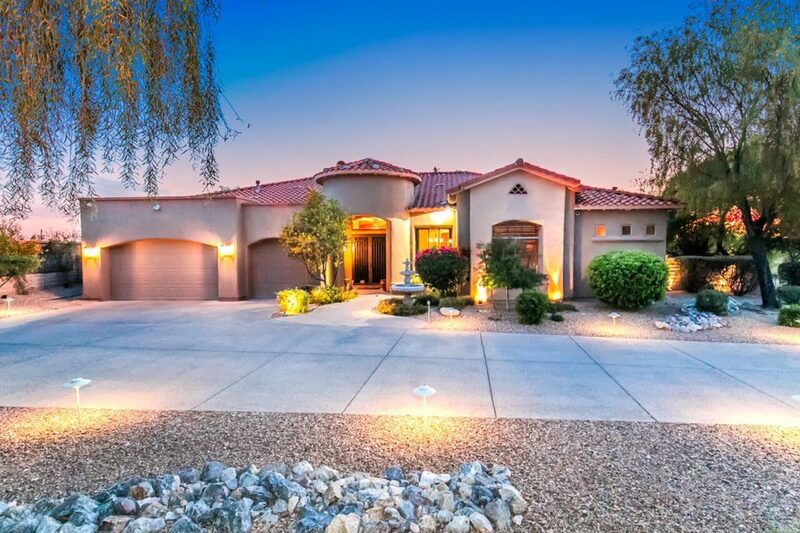 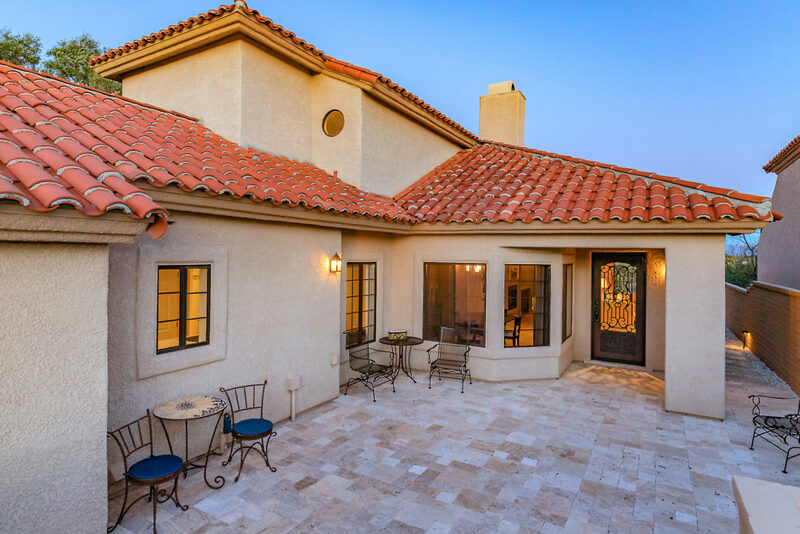 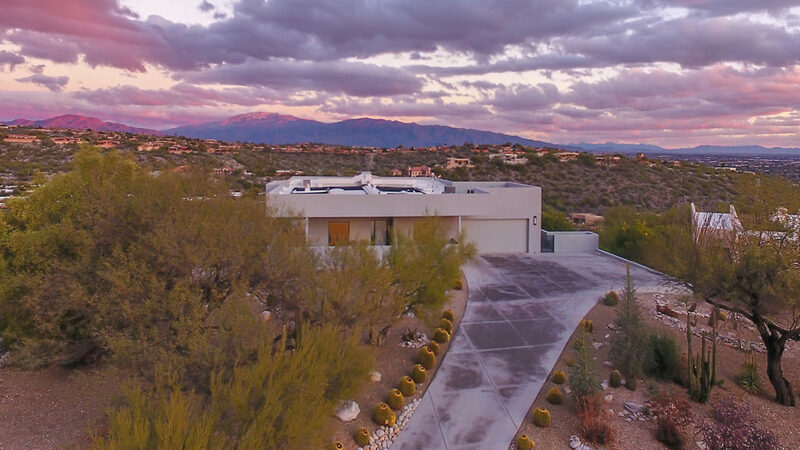 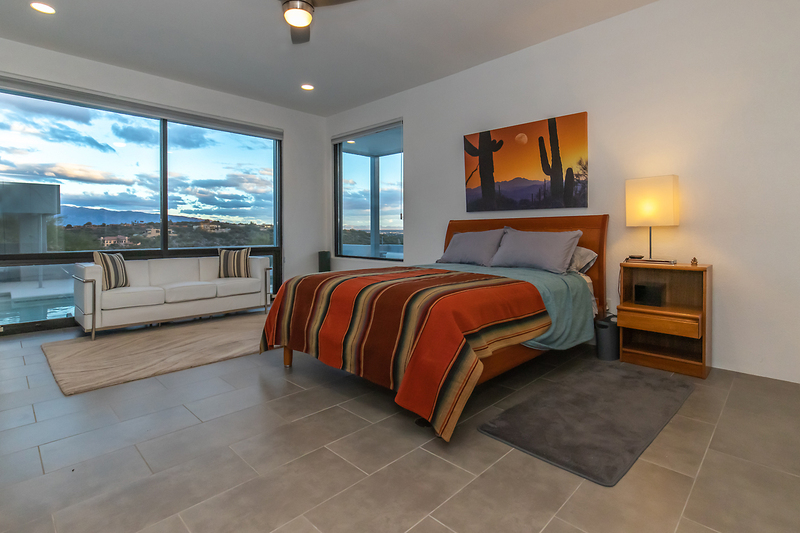 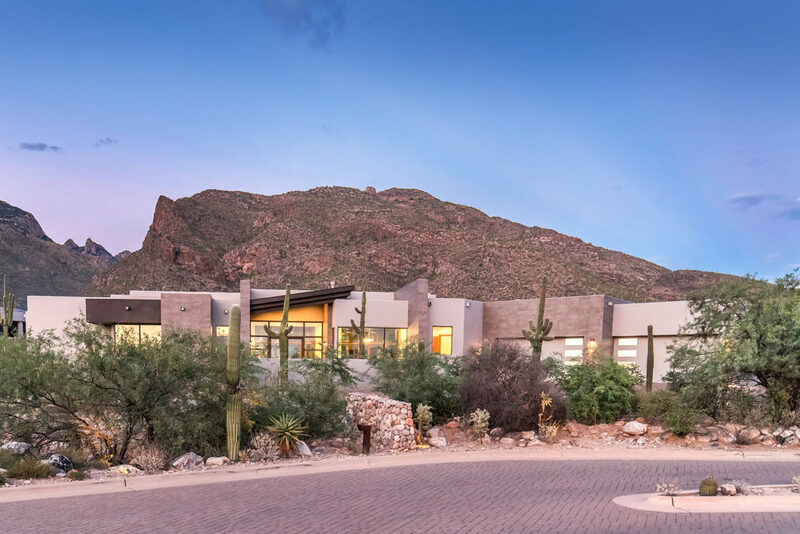 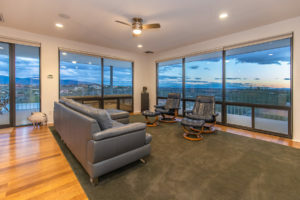 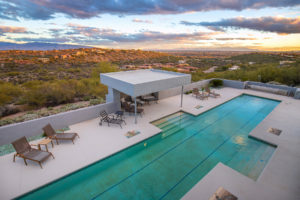 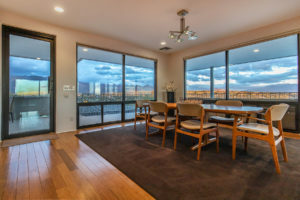 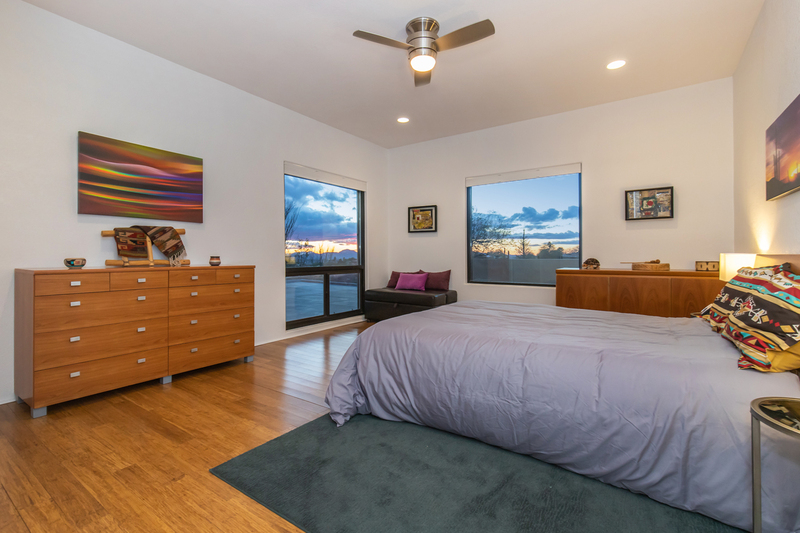 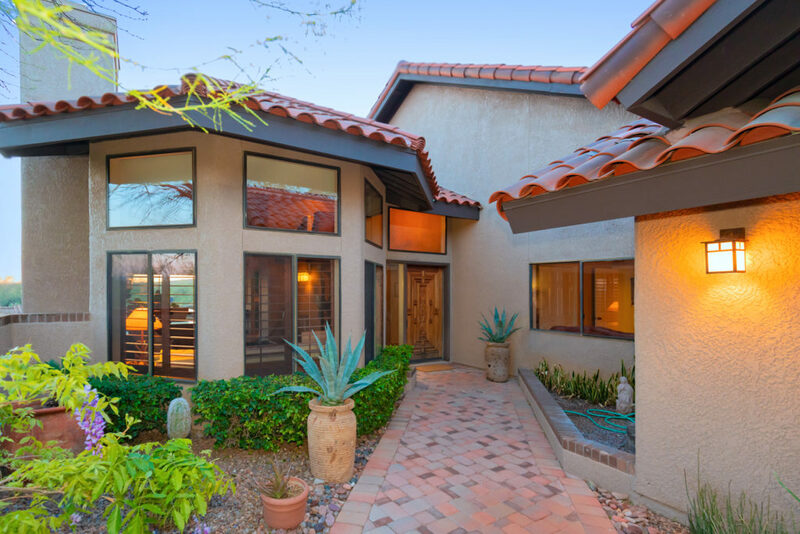 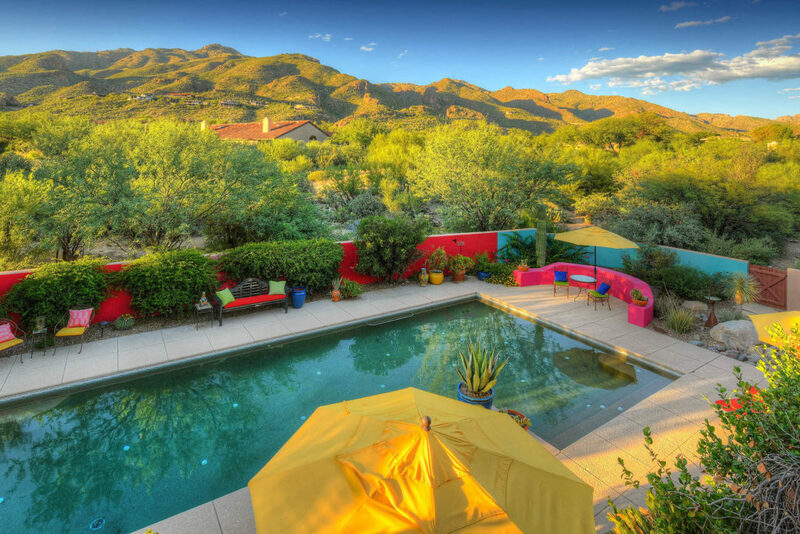 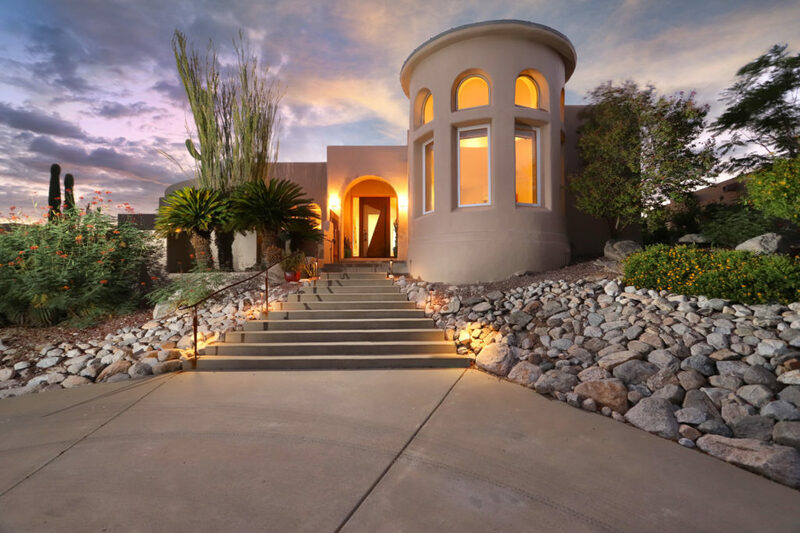 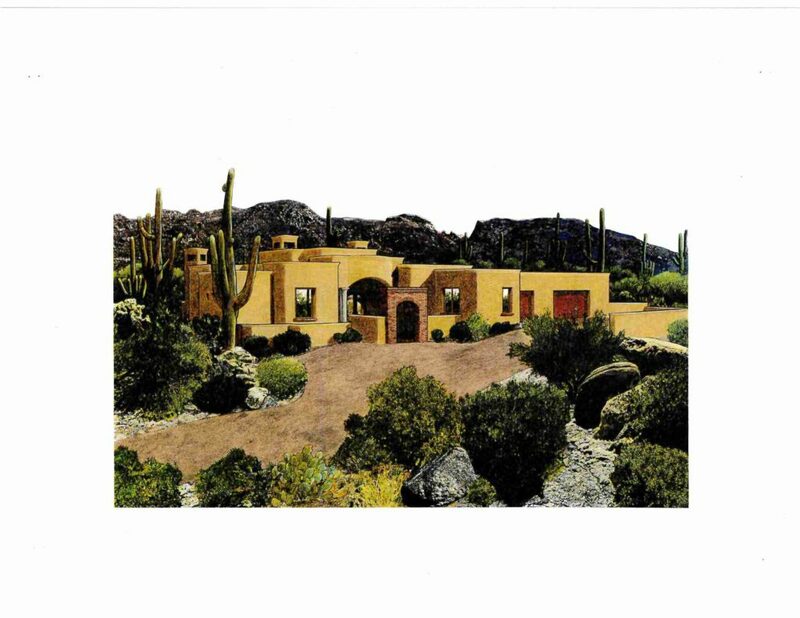 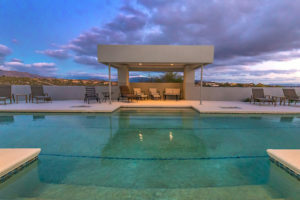 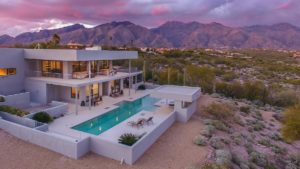 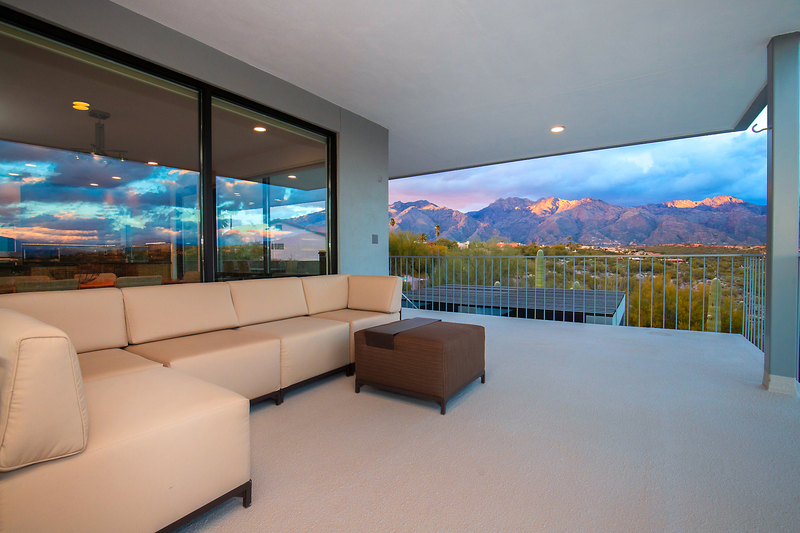 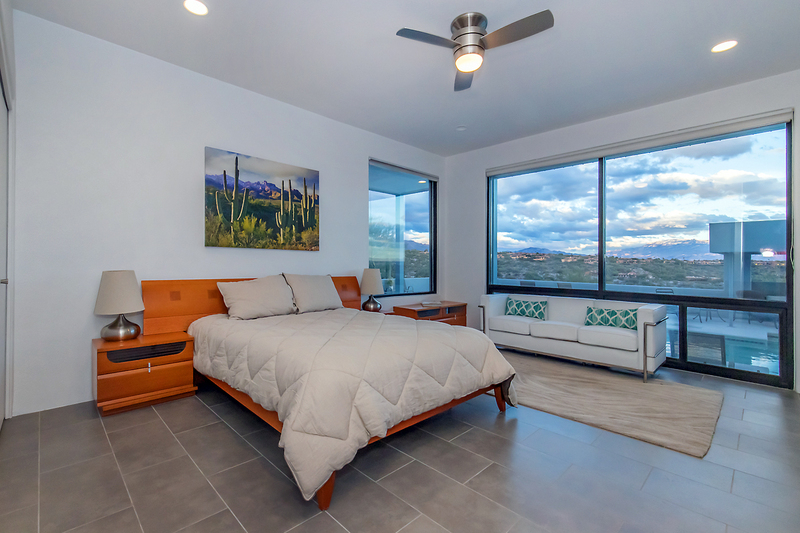 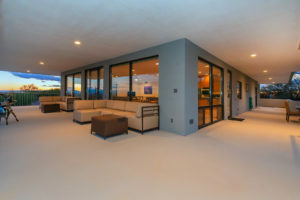 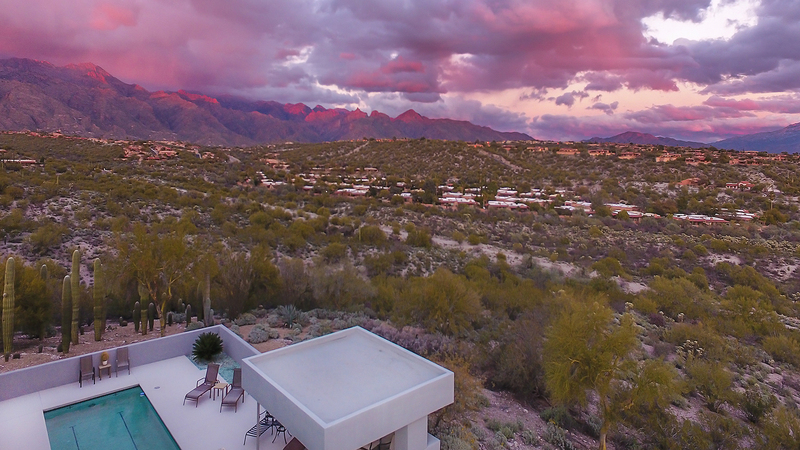 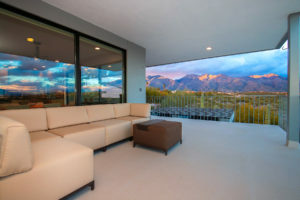 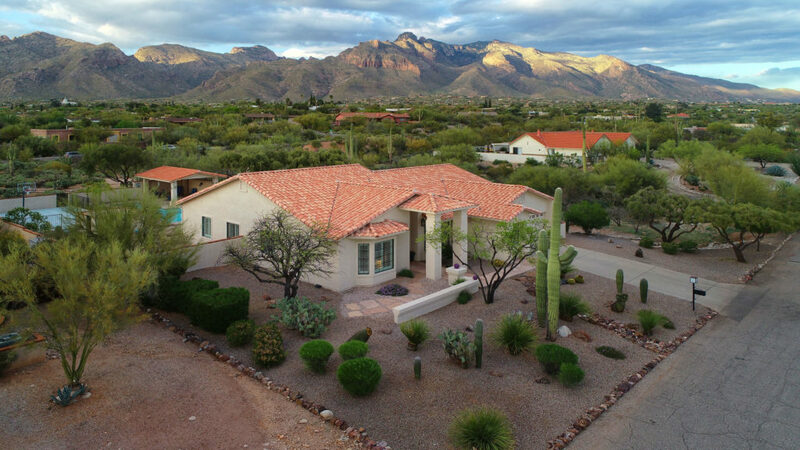 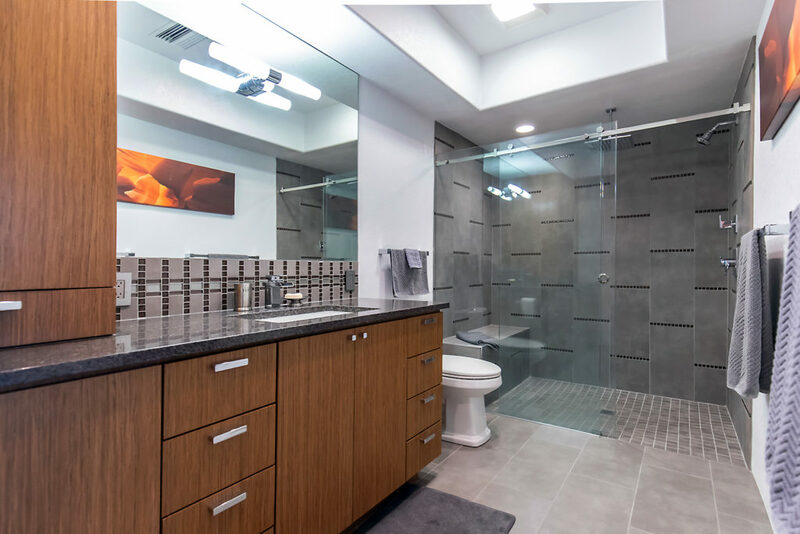 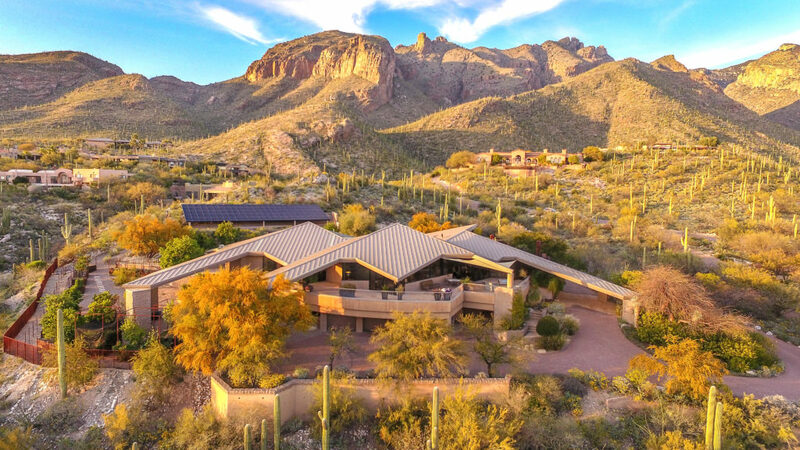 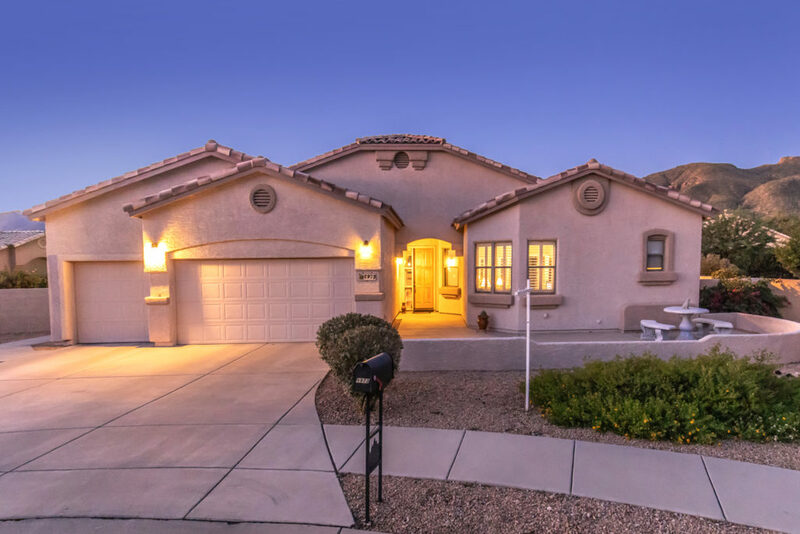 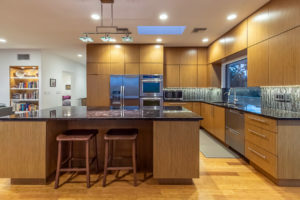 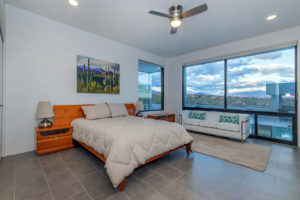 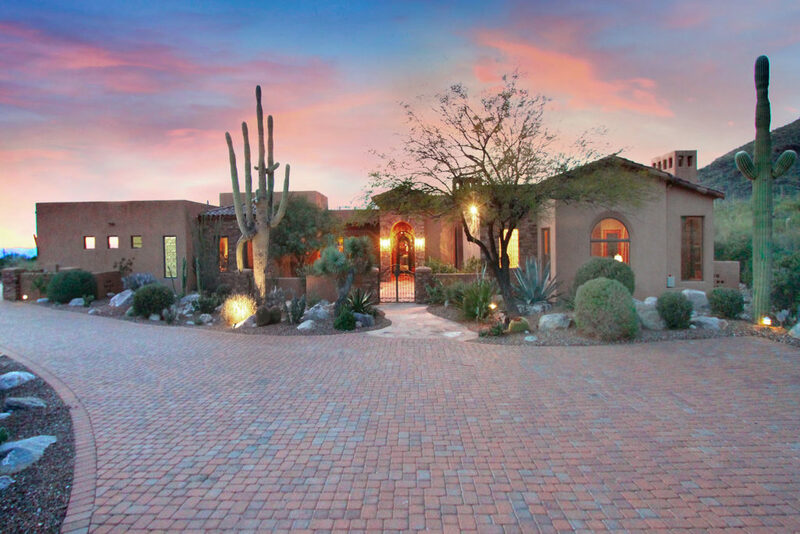 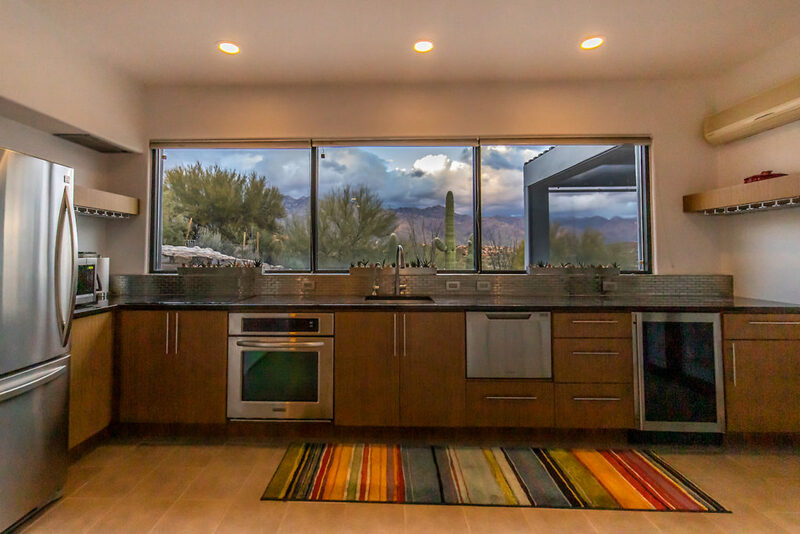 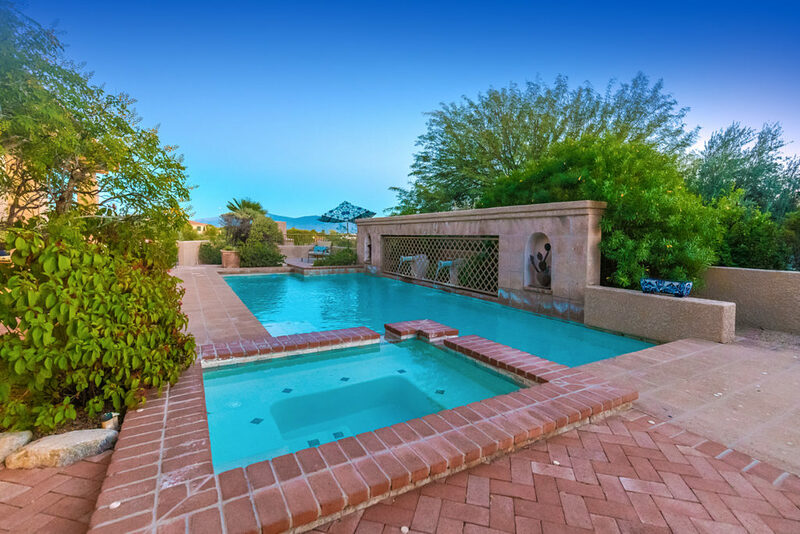 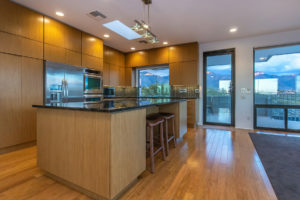 This Catalina Foothills gem is sited on a ridge top with spectacular sunrises and sunsets, and 360 views of the four mountain ranges surrounding Tucson. 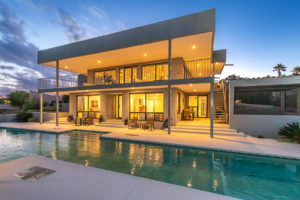 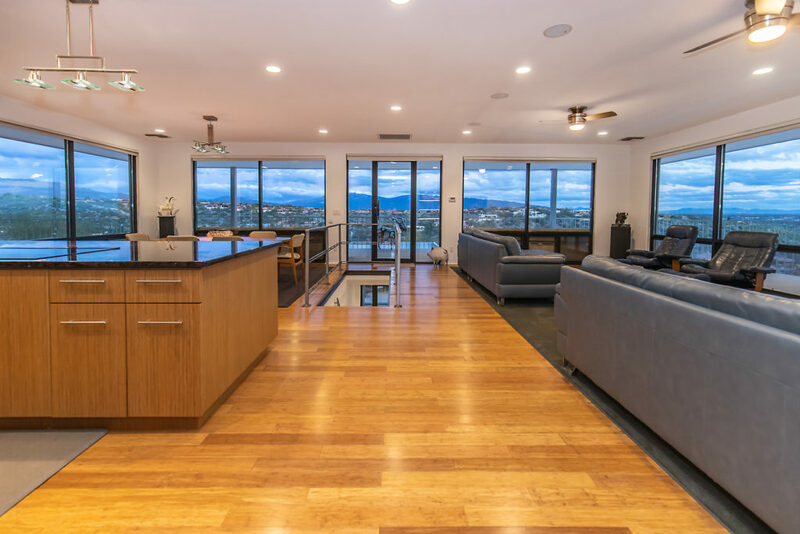 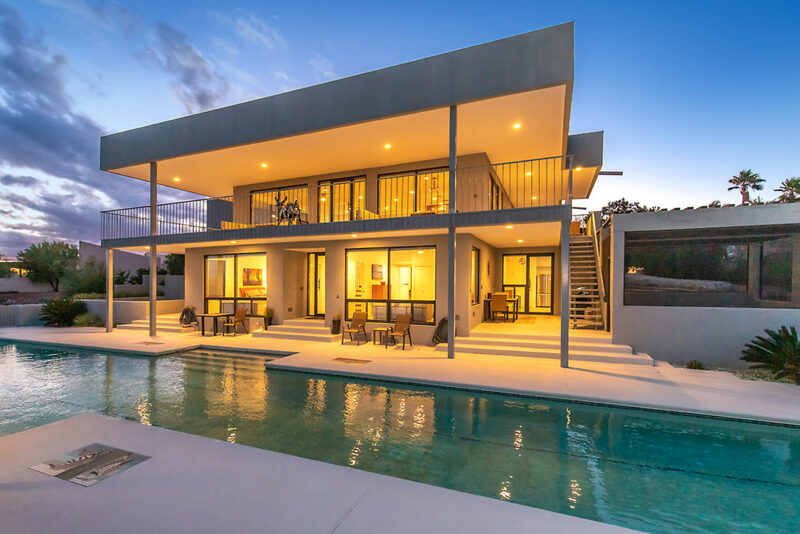 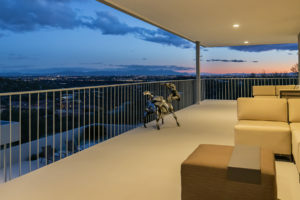 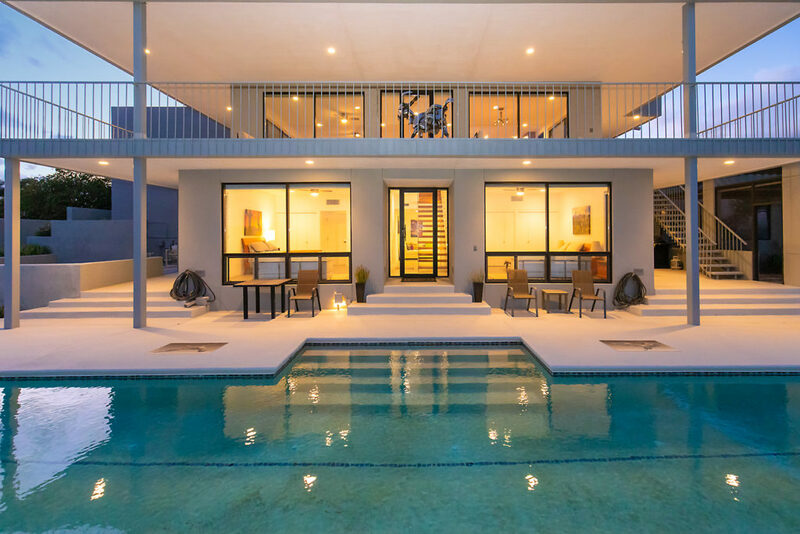 City lights are all along the southern horizon.There is a perfect balance of clean lines, minimalistic forms, and floor to ceiling walls of glass, all with mountain views. Enjoy a magnificent solar heated, two lane 75 ft. lap pool, with a ramada. 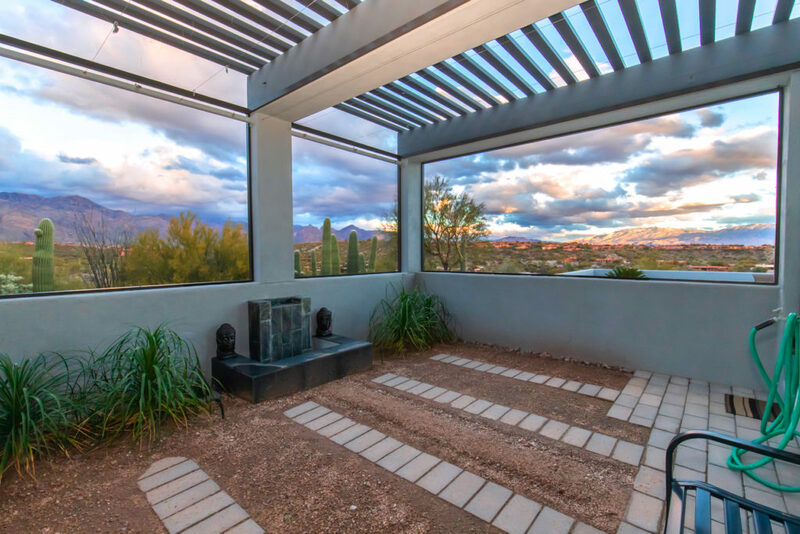 This one acre estate has a greenhouse/zen garden, eclectic cactus landscaping and many varieties of citrus and mesquite trees. Entertain on covered wrap around decks and lounging areas. 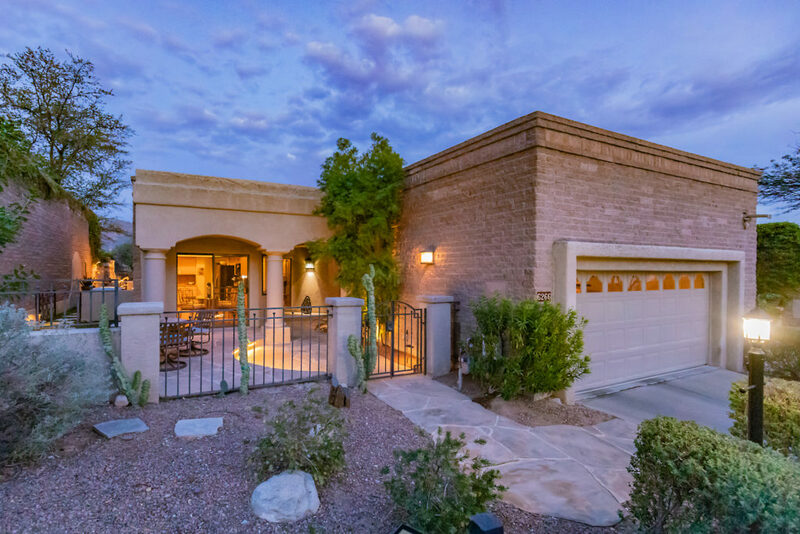 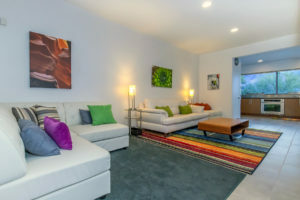 Quiet cul-de-sac location is within 15 minutes of all major shopping, restaurants and the Univ of AZ. Hiking trail from the backdoor to The Catalinas. 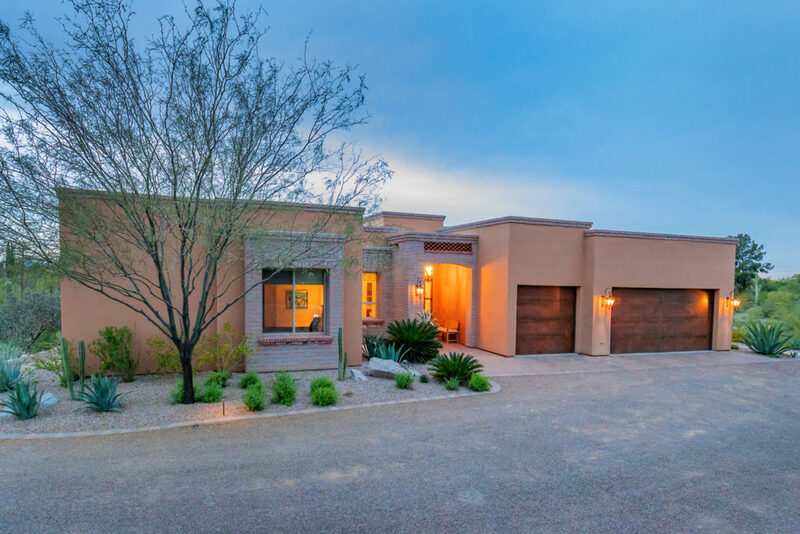 Updated with the finest quality materials, this 3550 sq ft home has 4 bedrooms, 3 baths, 2 kitchens with teak cabinetry and cohiba granite. The heated and cooled garage with epoxy floors and custom cabinetry has an eleven ft. bench with a view! 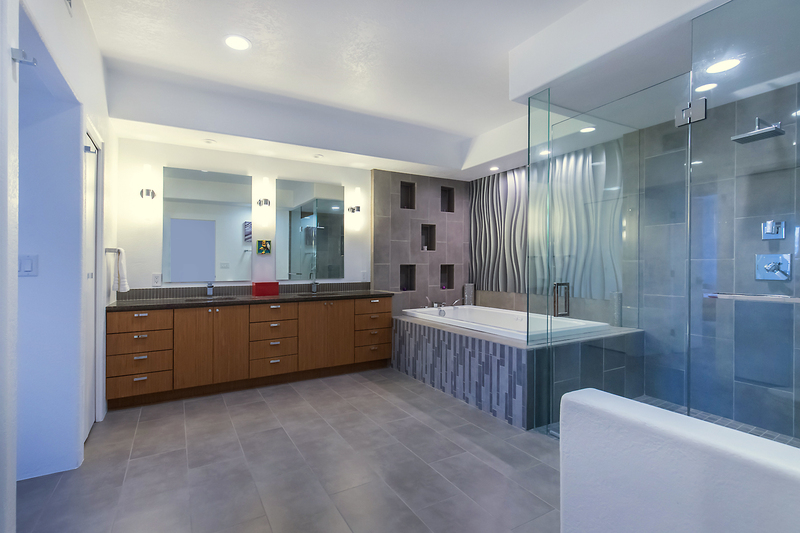 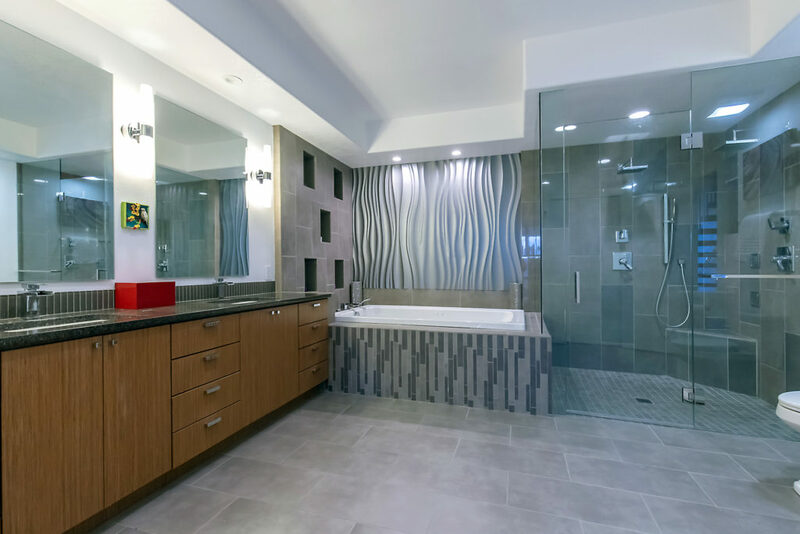 The three master suites have luxurious baths, one with a large jacuzzi and another with a steam shower. 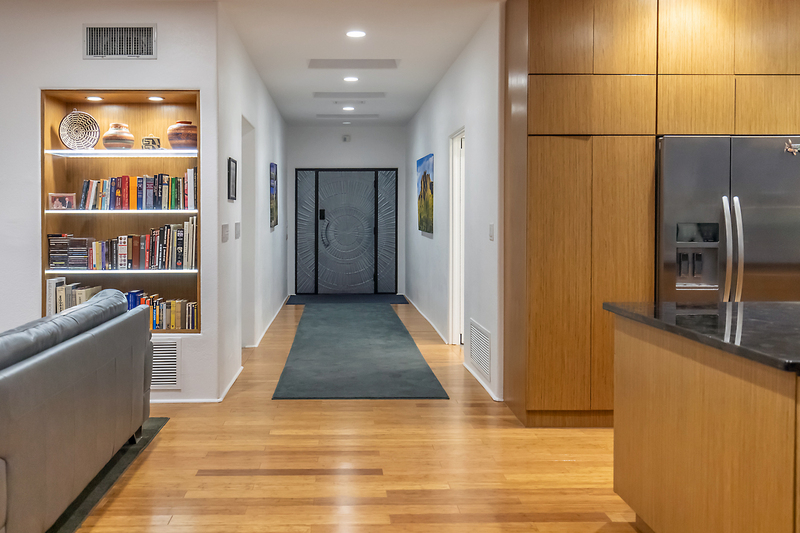 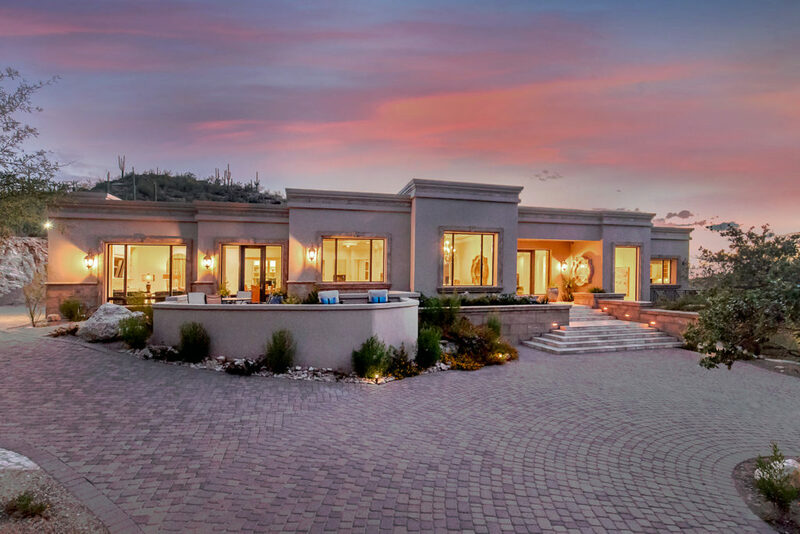 This home has been designed to allow two independent living areas for homeowner and separate guest quarters with its own entrance and parking…perfect for a AirBnB/VRBO! 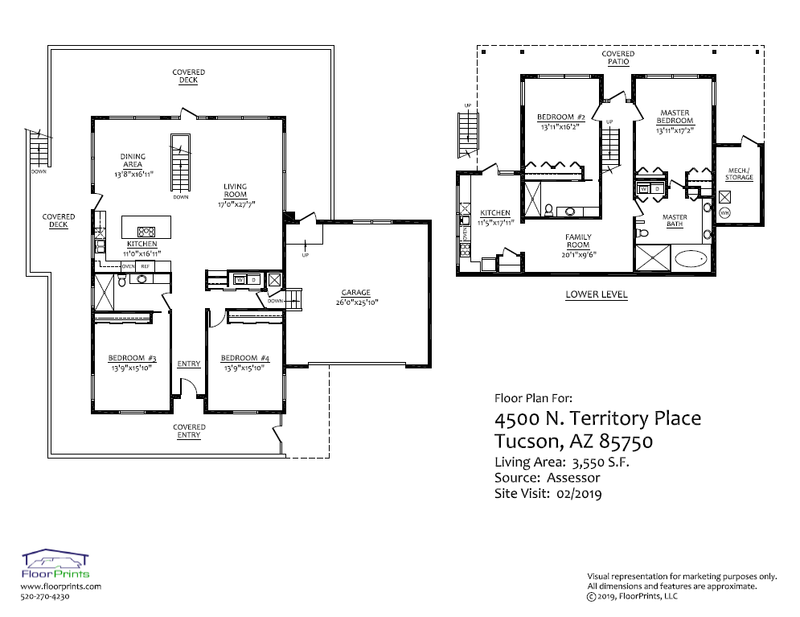 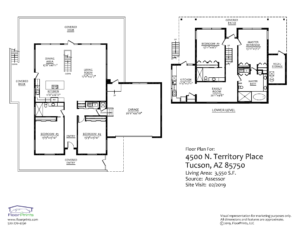 Thank you for your interest in 4500 N. TERRITORY PLACE, TUCSON, AZ 85750. 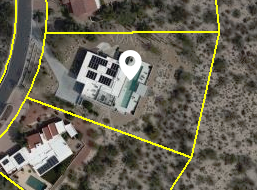 Please complete the required fields below to submit your inquiry directly to our office and we will be in touch with you about this property within 24 hours.